Probably the weirdest film you’ll ever see. Paul Dano plays a borderline suicidal man who befriends a farting corpse that washed up from the sea as played by Daniel Radcliffe. It’s an adventurous, witty and hilarious film yet it is filled with discreet and very deep lessons about society and norms. The soundtrack is so charmingly unique as well, it’s a definite must-watch for anyone looking for a refreshing comedy. Review by Yasmine Joy Labagnoy. Probably the most polarizing film I’ve ever come across. Some people hate it, others stop stop watching after the first 10 minutes, but some people (like me) think it’s one of the best movies ever made. Its raw and weird emotions some how latch onto your emotions and it’s perfect. It’s hard to recommend this to my family or friends though, either you will love it or you will hate it. It’s a very slow movie. Funny, but hard to sink your teeth into. This film is one of my favourites of all time, purely because you won’t find any weird premise executed as well as Swiss Army Man has. I never thought I could be in love with such a ridiculous premise, but I am. The dialogue is fantastic, and the soundtrack even better! 5 stars from me. This movie is FU**ING weird! It’s so creepy. But I love it. © 2018 agoodmovietowatch, all rights reserved. Recommendation algorithms are turning us into close-minded idiots, avoid them. We don't use one and never will. 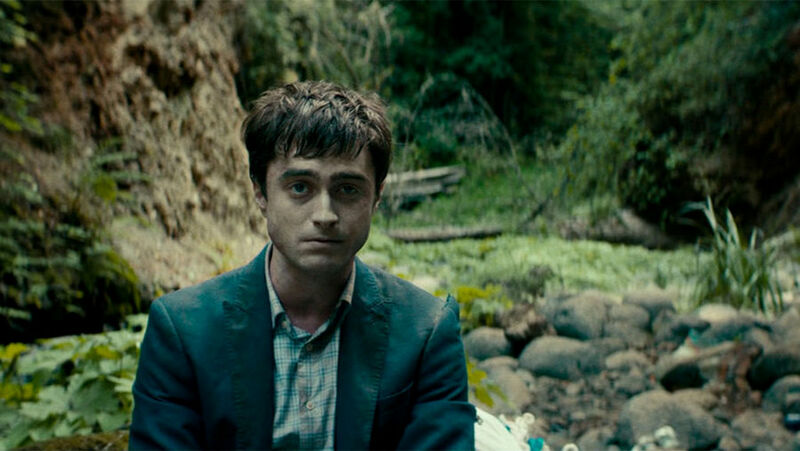 Find where to stream Swiss Army Man (2016) and learn more about this movie. Netflix, Amazon, Amazon Prime, and Hulu are trademarked brands, all rights reserved. Our Netflix movie recommendation engine is not produced or endorsed by Netflix, nor do the creators of this site have any affiliation with Netflix or any other VOD providers. All images, names, and trademarks are copyright and the property of their respective owners.